Please see the below instructions on how to view season statistics for specific teams. 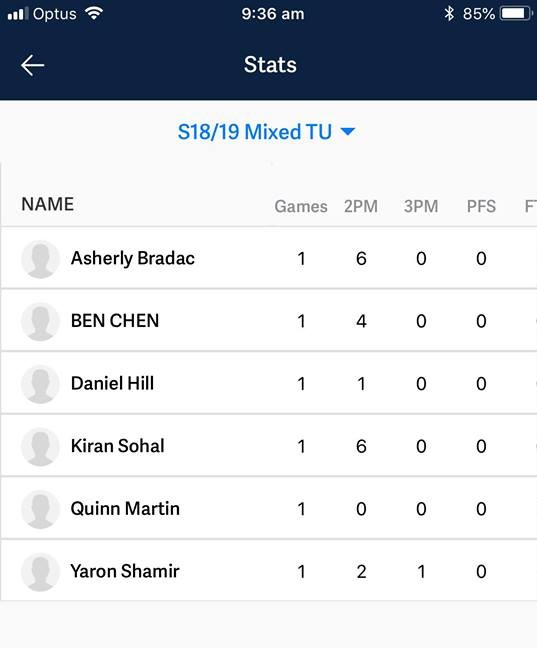 Currently the app does not have the functionality to view the statistics for the whole competition, however this has been taking into consideration for future updates to the app. 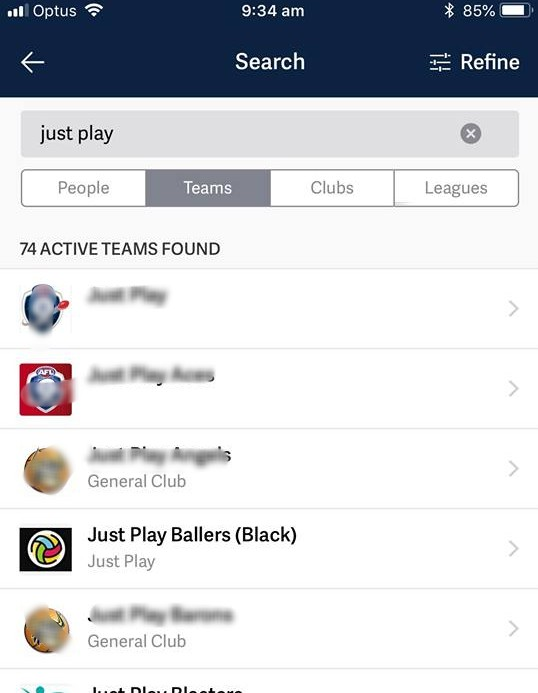 Use the search functionality to search for your team. 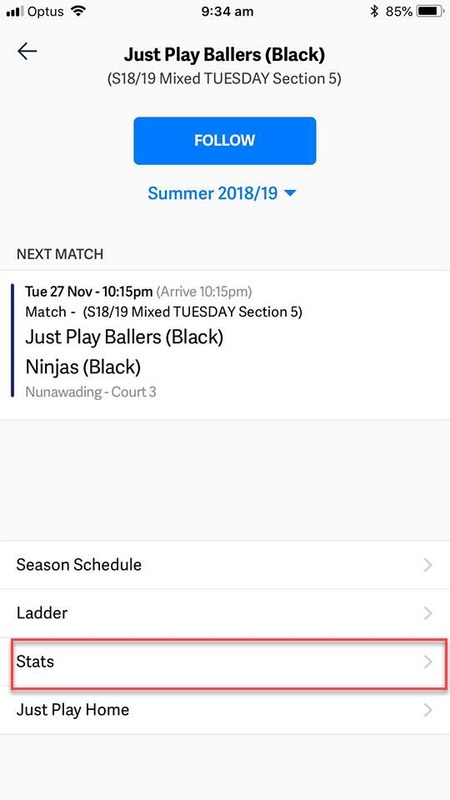 If you know the team name you can use the team tab, otherwise use the leagues tab to drill down from the association level. Use the refine function to select a specific sport. Select the team to which you will be taken to the team home screen. To view the statistics for the team select stats. You will then see a list of the statistics for all players in the team. Please note: If any players are missing from the team or statistics are incorrect, please contact the association directly as they are responsible for adding members to the team list and inputting results and statistics.